Vazhuvoor Palaniappan belongs to an ancient line of mentors who had helped many a stalwart excel in Bharatanatyam over the centuries. The village Vazhuvoor is located near Mayiladuthurai and was known so for it had escaped the fury of pralayam or the great deluge and it has existed over several yugams. The village is known for the Lord Gajasamharamurthy and Bharatanatyam. The ancestors of Palaniappan had taught Princess Kundavai of the Chola Royal family which was reciprocated by a grant of land from the ruler. However the Guru respectfully declined the offer for he felt that it would come in the way of the family maintaining its excellence in dance. He however requested the noble ruler to endow it to the deity Gnanasabesa at Vazhuvoor and the same was complied with. Padmasri awardee Ramiah Pillai happens to be the grandfather of Palaniappan and he had done much to put Bharatanatyam on the map of India by creating several great dancers who included a number of movie stars of the yore. 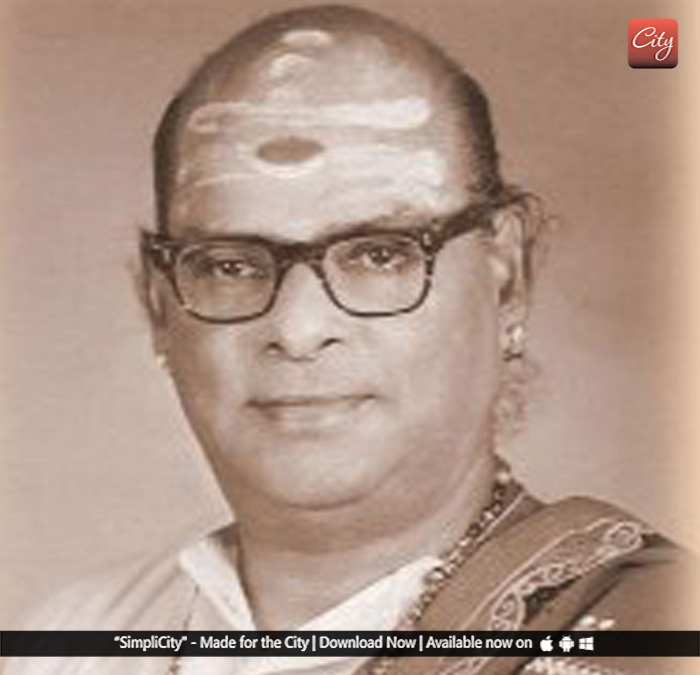 Ramiah Pillai was a legend in his life time and his students Kumari Kamala, Padmini, Vyjayanthimala, Padma Subramaniam, Chithra Viswaswaran, K.J.Sarasa, Kanaka Srinivasan took the Vazhuvoor bani around the world through their countless performances and dancing initiatives. 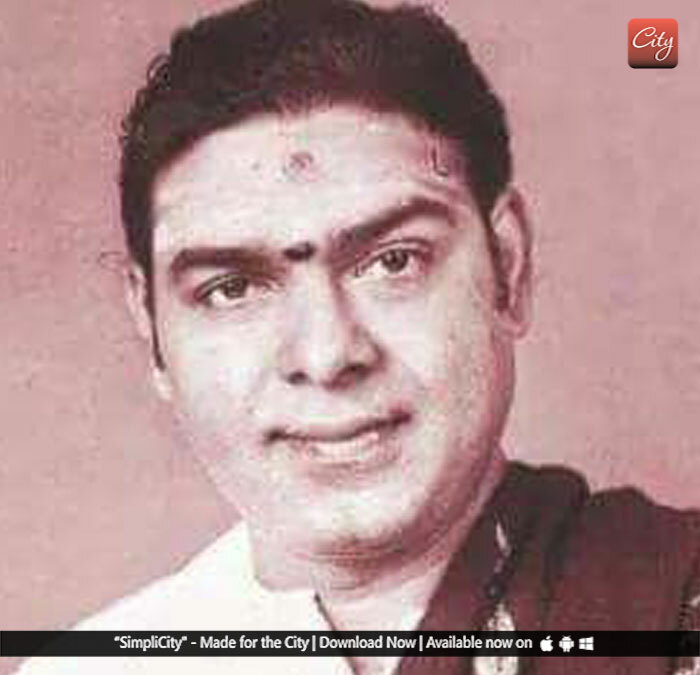 Samraj, the son taught eminent dancers like actress L.Vijayalakshmi, Jaya Bharathi, Radha Venkatraman and Jayanthi Ramachandra who took Bharatanatyam to an altogether different level. 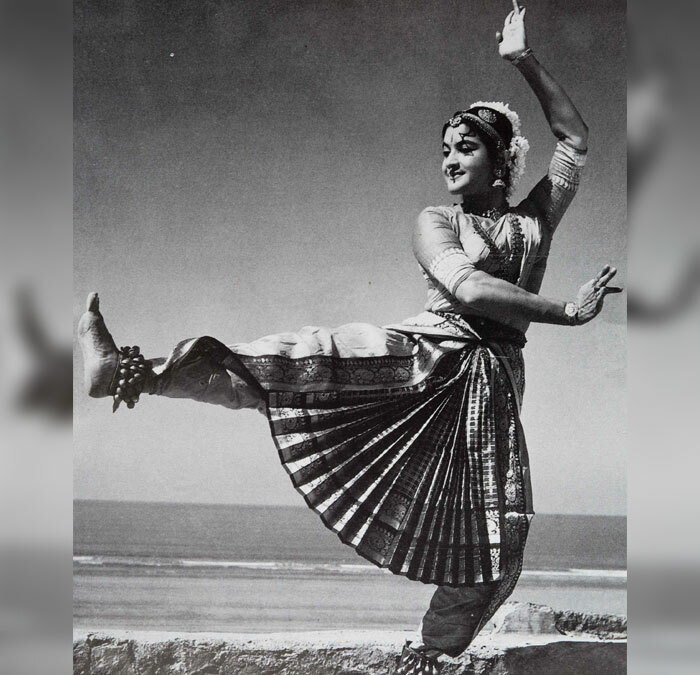 The song "Rara Priya Sundara" by L.Vijayalakshmi in the movie Bhakta Prahlada from the year 1967 continues to mesmerize the lovers of dance, thanks to the mentoring of the masters from Vazhuvoor. Ramiah Pillai had choreographed for over 100 movies and now his grandson Palaniappan has chosen Coimbatore to be his city of destiny for the last nearly two decades. He has a number of students to his credit and Princess Gopika Varma is well known among them. Palaniappan has also taught a number of actresses who include Mohini and Vidya in the past. Vazhuvoor Palaniappan is passionate about dance and in spite of not concentrating on the financial returns he continues to teach serious learners with full gusto. His residence at "Devaprayag" in the Tristar Enclave at Avinashi road resonates with the sound of Nattuvangam all round the day. The walls of the house are decorated with the pictures of his grandfather Ramiah Pillai, father Samraj and a finely created image of Gajasamharamurthy of Vazhuvoor. The mentor in him is not carried away by his heritage for he was candid to state, "The Guru, student, parents and the grace of God are the four pillars which support the entire effort. Its important that all the pillars support the venture and therefore team work is very important. I consider my students to be part of an extended family and my home a Gurukulam whose doors are open to anyone who wishes to learn Bharatanatyam." A couple of students were practising Nattuvangam and on being asked whether they were getting disturbed, pat came the reply, "The students should be able to learn and practice under varying conditions. I began learning from the age of 5 and started to teach along with my elders by the time I was just 14 years of age. On a number of occasions our elders used to suddenly push us into taking care of a dance performance and we managed to stay afloat at all times. "It was during the course of the conversation that he beckoned his disciples to join us for a chat. One of the students, Vanisri runs a dance school herself while the 13 year old Sreya and 15 year old Vyshnavi have plunged into dance full time. Both the sisters are pursuing their formal education through private efforts. The other important students include Nandhini Giri, Samyuktha Uday, Mrinalini and V.Samyuktha. Nandhini Giri is at the US doing her higher education at the Indiana University and is doing a course in animation with Bharatanatyam as the minor. Palaniappan has ensured that all his students learn something more than dance and its heartening to note that Sreya is learning veena and music while her elder sister Vyshnavi is learning art in addition to music. He uses technology to impart distance education and now has students in Netherlands, Germany who are part of his on line education initiative. Palaniappan has converted a number of compositions into a dance format and he has successfully done so with works of great composers like Purandaradasa and also that of new composers like T.V.Venkataraman IAS whose 10 songs have been choreographed successfully by him. The songs "Malaimeedhu Thogai" and "Pozhudhu Pularndhadhu" belong to this album done by the senior bureaucrat. "The students are very much part of the Guru, we spend years creating them and our lives become blank when they leave us and their skills for good. Its at this moment that we feel bad when we have to start all over again. We need waves of students to feel that our time and skill are being put to good use. It does not mean that we wish to hold on to the student for good but we want them to thrive by starting off on their own with our wishes" stated a subtle Palaniappan. The efforts and acts of Palaniappan look simple while he demonstrated his teaching methods, however it may take a life time to master. "The student has to be clear and honest from day one whether he or she wants to be a dancer or a teacher as well. Only then will it be possible to teach them accordingly. It takes about 15 years to master Bharatanatyam, 5 years to pick up the threads required for teaching and another 5 years to learn Nattuvangam. Therefore if one starts at the age of 5 then it will be distinctly possible to become a Guru by the age of 30. My situation was different for I was born and grew up in an atmosphere which carried Bharatanatyam in the residential atmosphere. Nattuvangam should be learned separately and learning music or an instrument is essential. During the times of my grandfather Telugu was essential for it helped us with Sanskrit pronounciation for it was absent in Tamil. They used the book "Peddha Bala Shiksha" to learn Telugu in our village. I want my students to be both good dancers and teachers who will carry forward the Vazhuvoor tradition for good. 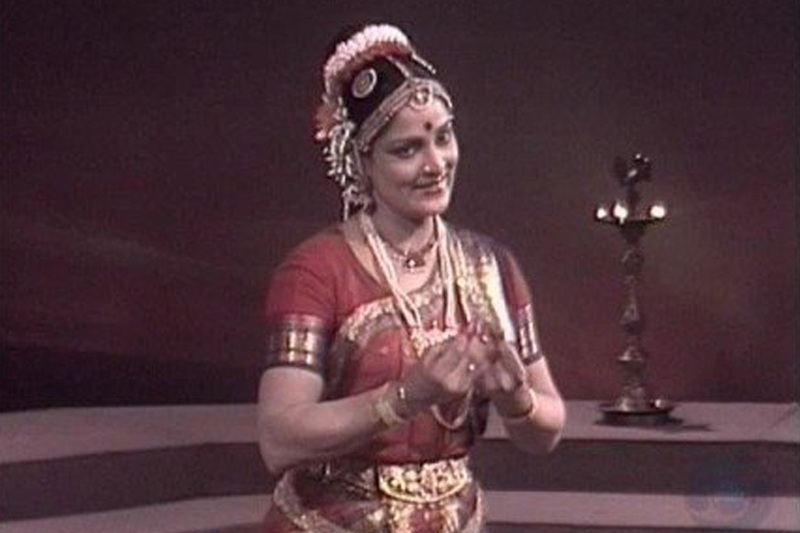 Gurubhakti is important and the great exponent of Bharatanatyam Kumari Kamala is an epitome of the same." spoke a determined Palaniappan of Vazhuvoor. The students, Sreya and Vyshnavi demonstrated the teaching methods of Vazhuvoor Palaniappan. It was amazing to note that they did so while sitting on the ground and by using their face,arms and fingers . The deft fingered girls exuded talent while using their hands in the place of legs while enunciating the footwork required of a dancer! "Commitment helps one to excel and one has to learn to live life beyond comparison for each student has a different wavelength. The body, rhythm, age and level of absorption vary from one student to the other. Therefore its the job of the Guru to identify these aspects and address them in order to bring the best out of the student. This holds good not just for dance but for every other form of learning. Using skills possessed by a person is an art by itself", smiled Palaniappan. Palaniappan has seen great performers like T.Balasaraswathi perform and he believes that a live ensemble should accompany the team of dancers and they must include a Nattuvanar, a singer and the various instrumentalists at all times. He does not believe in pre recorded music at any of the performances organised by him. "Our ancestors could create an ensemble with just our family members for our large family used to consist of the ones who would play the veena or sing or play the thavil or the mridangam or the nagaswaram therefore I understand that a live participation by every part is essential", conferred Palaniappan. While talking about his illustrious grandfathers's role in the world of cinema Palaniappan was glad to share further, "My grandfather was quite busy with films and since he was the only one it was virtually impossible to get his time. A dance by the heroine had to be planned well for films owed their all to them. He composed appropriate sequences for the movies and had to do so by not just teaching dance but also attend rehearsels and movie shoots. He taught dance to the actresses who did not know dance and taught as much that was required for the sequence. It used to take months to make them give their best and among the actresses who learnt this way were T.R.Rajakumari, K.L.V.Vasantha, M.V.Rajamma, Pasupuleti Kannamba and Kuchalakumari." Ramiah Pillai was a celebrity all his life and he had the oppoutunity to meet and interact with a diverse type of people from Sarvapalli Radhakrishnan to Pandit Jawaharlal Nehru to Brahmasri Sengalipuram Anantharama Dikshithar. Vazhuvoor Palaniappan is happy that Coimbatore is his Karmabhoomi and that the city is nestled in the neighbourhood of Perur, the home to the exquisite Kanakasabhai and the home to Lord Nataraja and Sivakamasundari on the banks of the River Noyyal. Jaya Suddha Puri Vasa ! Jaya Maha Gnana Sabhesa ! Its time that once again artists are able to live and pursue their passion with ultimate devotion and reverence to tradition."